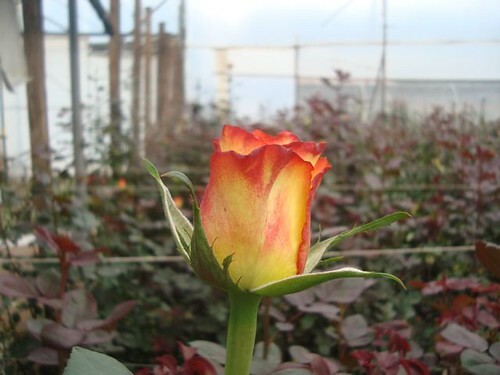 Ecuador roses are available from our site just in time for the holidays. You can enjoy special beauty in your home for Thanksgiving and Christmas with Ecuador roses. 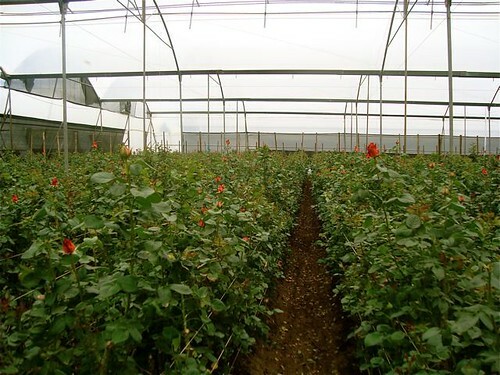 We had a concern for you when it came to fresh Ecuador roses for the holidays. Last year we were overwhelmed with Ecuador rose orders for the holidays so we know there is a great demand during this season. Yet many flower plantations have not been able to survive the recession. 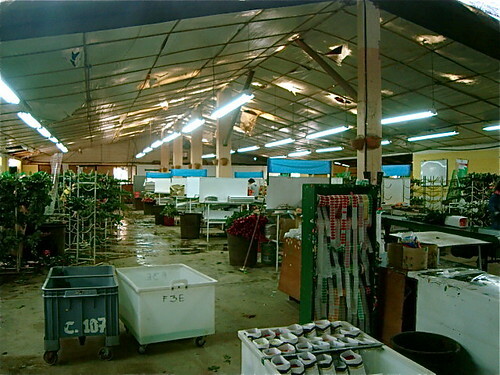 Our flower supplier Roberto Ribadeneira has had the farms he worked with go bankrupt twice this last year. He has not been able to provide Ecuador roses for nearly a month. We were worried that this would create rose shortfall during the holidays. I am happy to report that Roberto will have plenty of the best, most colorful Ecuador roses for you… and that the beauty you gain in your home will help may Ecuadorians enjoy the upcoming season of giving as well. Roberto just sent me this note. Gary, I can now provide as many fresh Ecuador roses as your readers desire using Fedex to deliver them just three days after they have been cut. I have developed a partnership with one of the larger rose farm and I will be shipping the flowers directly from there. So we will have our Fedex machine in the farm’s cold room and pack the flowers right there. It’s actually two farms in one. 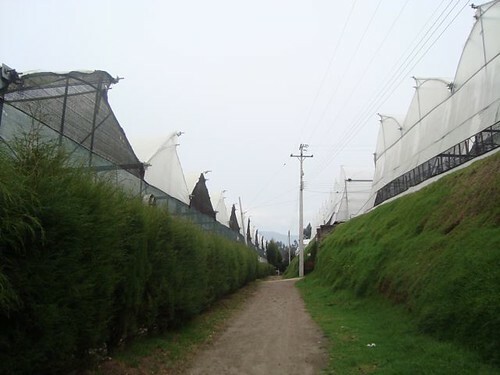 Farm #1 is located just outside Cayambe, north of Quito, it’s about 20 hectares (48 acres) of land with 10 hectares (24 acres) in production. As you can see, this is a big operation. The second farm #2 is two miles from farm #1 and are both owned by a friend of mine. The second farm has 8 hectares (about 20 acres) in production. The combined production its over 30,000 roses per day. to export fresh cut roses. Each day the staff cuts the roses. They are then graded and packed in this room. 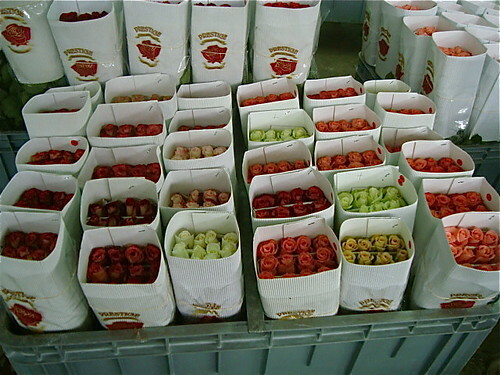 They are packed in batches of 25 roses like these below. These wrapped batches are placed in a preservative solution and stored overnight in a cold room. The solution and chill sets the rose petals, reduces bacteria that would caused early aging and puts the fresh rose into a state of suspended animation that keeps until the roses are unpacked and placed in luke warm water… which will cause them to open like this. The next morning, a refrigerated truck drives into the cold store… picks up the roses and delivers them to Quito Airport where they are flown to Miami and placed in a Fedex cold store. They are then flown that night to a Fedex distribution center and placed on a Fedex truck for final delivery…usually within three days of being cut. This partnership means I have complete control of the quality of the flowers and much more availability. 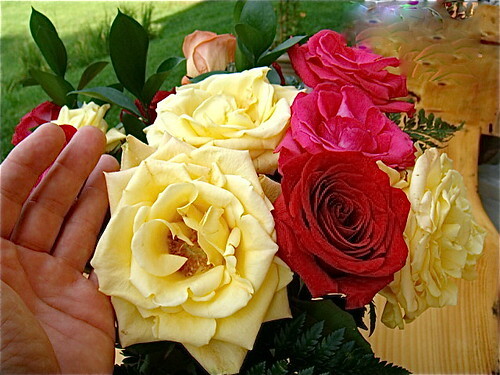 I do not have not to worry about mistakes at packing or problems with the roses. The system works well since Fedex delivers to any US zip code. I’ll be on the spot to provide oversight over the quality. It doesn’t get any better for quality and service since I get to see the flowers myself. Plus I will be going to the airport before we ship the flowers to make sure that everything is great. Another difference is that we will be focusing more on final customers so we created a website to handle just them. We separated flower shops and event planners so we can specifically serve households rather than flowers shops. I want normal people to get our flowers directly and not through intermediaries. I’ll work with customers who want to develop business ideas such as the flower parties. The future of the business is what we are doing. Roberto. Your holiday orders for fresh Ecuador roses help out the people of Ecuador and environment as well. Transportation to and from their houses to the farm. Fresh Ecuador roses bring beauty into your home, help the people of Ecuador and make great Christmas presents as well. 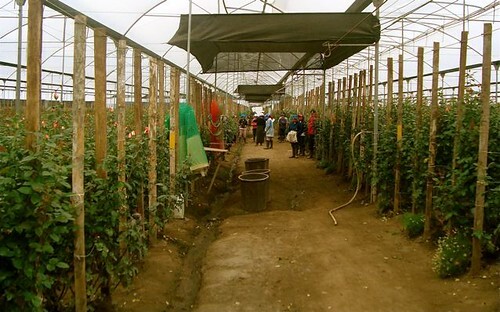 See more on how these Ecuador roses help the poor here. 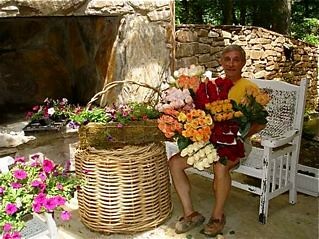 Here I am with 200 fresh Ecuador roses sent to my home. Learn how to order fresh Ecuador roses for the holidays here.